Rhana explains more about the world after the fires. Opening Theme Composed by Tom Rory Parsons. Starless is written, voiced and produced by Justy Gee. 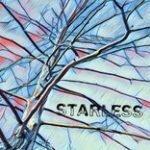 You can find Starless on social media platforms by searching @starlesspod. To keep up to date with Starless, make sure you become a twitter follower!